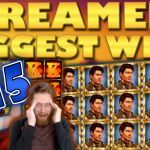 Another Tuesday and as always we bring you clips of the casino streamers big wins for the past week. Even though not many streamers were lucky last week, those who did win big absolutely smashed the machines. Full lines on Book of Dead, wild lines on Zeppelin and possibly the biggest base game win ever caught on stream. Today’s segment includes wins made from the 27th of February until the 5th of March 2017. We start things off with Casinomon and his full line of the second best symbol on Book of Dead. The streamer was betting 1.4€ when unexpectedly made the lucky hit and won a big €400. 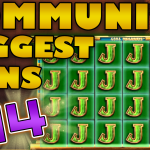 No surprise there, as Book of Dead is known to be one of the best online slots. The game has huge potential and is well liked by streamers and players alike. 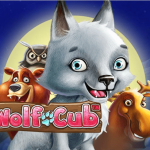 If you want to try the game yourself, you can find it on all major online casinos like LeoVegas, or Casumo. Casino Zeppelin was on fire last week and the first to profit from the slot was BlackCatSeven. 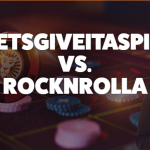 The streamers was betting SEK 6 when he triggered the free spins. An awesome bonus with many locked wilds that resulted in a SEK 2500 win. Casino Zeppelin is also one of the most popular slot games out there, so you can find it in almost every online casino, including MrGreen and Cherry (click here for our casino review). 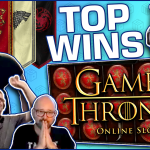 A great win on an unexpected slot for Shirox1980 last week. The streamer was playing the not well known First Dynasty slot when he triggered the free spins on a €1 bet. Thanks to the games surprising great free spins feature, Shirox managed to get 3 wild reels during one of the free spins. The result was a total win of €500. What’s better than a wild line on Casino Zeppelin? - Two wild lines! That’s what Ladygahgah did last week when he triggered the Zeppelin free spins feature on a SEK 6 bet. An absolutely insane bonus run, full of locked wilds and big win after big win. 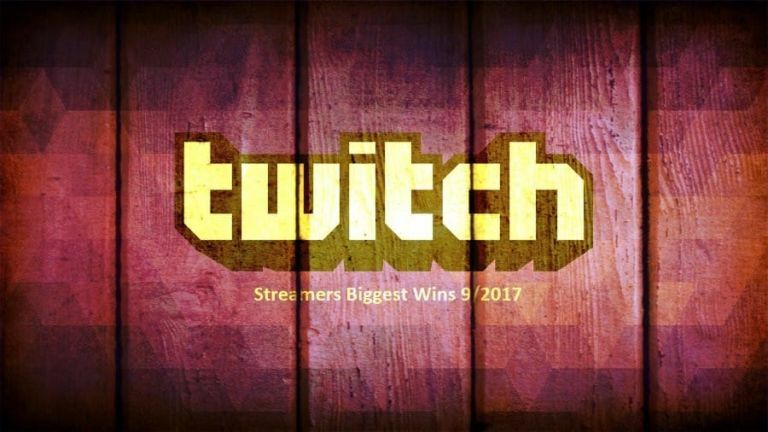 The streamer managed to get the 5 extra spins which increased the big wins. On the last two spins of the bonus the long awaited wilds hit and made a double line. The result? - A huge SEK 4800 win. See if you can get your own wild line by playing Casino Zeppelin on Unibet or Videoslots. As always we save the best for last. Last week’s best hit was Kim’s mind-blowing hit on King Kong. One raise from SEK 25 to SEK 50 was all it took. As soon as he raised - the best possible combination on the game landed. Thanks to the slot’s unique feature the win was an immense SEK 61000. Possibly the biggest base game hit on a spin ever caught on stream. Try to beat Kim’s record by trying the unique slot on LeoVegas or Super Lenny. Find more clips like these on the official CasinoGrounds YouTube page.